I am looking at the flight path on the screen directly in front of me—one more hour until I hit London—I am going to be performing The Pink Hulk across the pond! My first time taking my solo show globally. The night before my friend Emma asked me, “Did you ever think this would be happening with The Pink Hulk—that you would be taking it to Europe?” And without hesitation, I said, “Absolutely not.” And I thought about that. Emma and Helene, who was also there last night, saw the sixth show of The Pink Hulk’s during its very first run ever in the summer of 2016—in the Planet Connections Theatre festival in New York City. Then I had been touring it across the U.S. for the past two years and now…!!! I tried to sleep on this flight, and I could hardly at all (well, the crying baby next to me didn’t help—though she was super cute when she was not crying)! Packing and getting ready to leave earlier that day, I was super excited, and when I got to the airport, I felt strange and out of sorts. 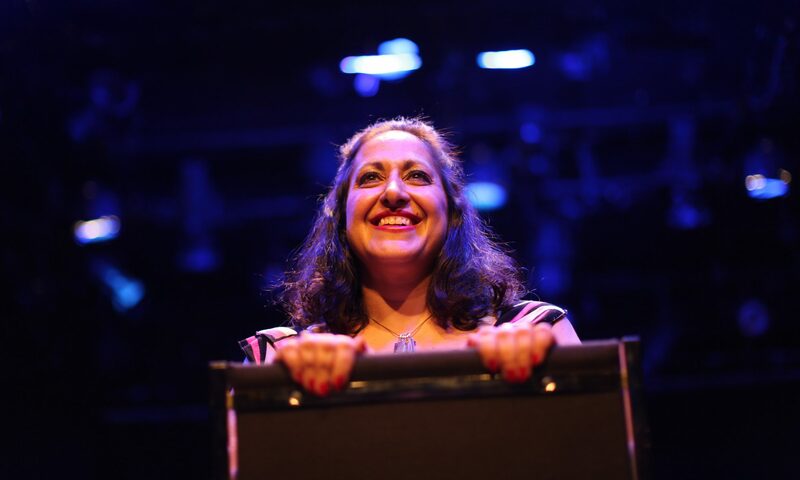 When I was checking my suitcase, I was telling the American Airlines attendant that I was so thrilled to be performing my play about being a two-time cancer survivor in Europe. Then I just burst into tears—she was so nice and said, “The is so great. Congratulations,” as the scale read that my bag was overweight (over the 50-pound limit)—whoops! But she put it on the conveyer belt anyway—thank you, American Airlines. I was suddenly overcome with emotion—I realized that I was also a bit nervous. As much as I was excited to come to England, I was really overwhelmed—what keep running through my head: will my story translate over here, when I embark on performances in Sweden and Finland right after England—will audiences stay for the talkbacks? Will European audiences identify with the topics I cover with The Pink Hulk? Will these audiences be receptive to my story? And then I reflected that today is my 4-year anniversary of having been diagnosed with breast cancer—time to celebrate and realize that all of these worries should take a backseat—this is a time to celebrate and recognize and cherish this milestone. And another special anniversary to day. This marks my 30th anniversary year of when I first landed on the shores of England, as a studies abroad student at James Madison University, and then again 3 years later, to work there as an intern for Time magazine in London. And I am still using the pouch to hold my passport in from 1988!! A little worse for the wear, but it still works!! LOL! I loved the U.K. And from those two experiences, I first emerged a student of the arts and then a writer of a magazine. And now I am coming back here as a performer. Who knew? I will be staying with my best friend Karen and her family—she and I spent the summer backpacking through Europe in 1991—one of the best times of my life—stopovers included Italy, Greece, Hungry, Germany and Budapest. My Pink Hulk shows will be in Manchester this Sunday where friends from the U.S. will be attending too. I am so excited and thankful that Steph Green and Sarah Weston of Thought Plane Theater offered to host the show. I met them when we were performing together in the Cincy Fringe. The friendships I have made through these festivals have been some of the greatest friends I have ever met. The Pink Hulk has opened doors for me that I never dreamed would happen. I have been to so many cities in the U.S. and now going to Sweden and Finland—countries I have never been to. 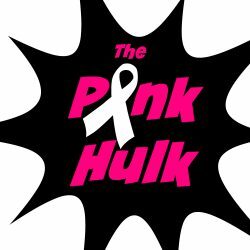 Follow the Pink Hulk on FB!